Discover the appreciation of Japanese tea. Find out the role green tea plays in Japanese lifestyle, culture and cuisine. 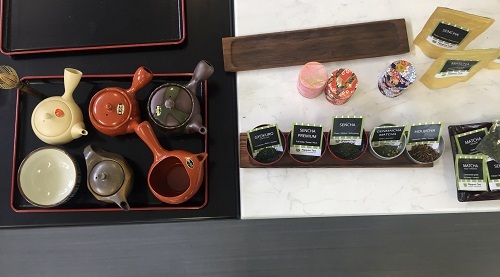 Learn how Japanese green tea is made; the different kinds of Japanese teas available and their properties and health benefits. Course fee includes $15.00 for ingredients. Discover the difference between supermarket green tea and Japanese green tea. The process of how Japanese green tea is made. The different kinds of Japanese teas and their properties. The role of tea in Japanese lifestyle, culture and cuisine. There will be a demonstration and tasting of Gyokuro, Sencha, Matcha genmaicha, Houjicha Matcha. Brew and taste each tea for yourself. You will leave understanding the health benefits of Japanese tea and how to maximise their benefits and have plenty of time for any questions.